New Adventures is currently in the process of creating a major new production and they are now looking for young dancers who will have the opportunity to perform at their local theatre, including the Alhambra Theatre in Bradford. The talent search for the young people to perform in this brand new production alongside New Adventures dancers is now underway. New Adventures are searching for the next generation of young dancers with exceptional technique, powerful performance skills and a passion for storytelling to work with them over the course of 2018 and 2019 to become part of Matthew Bourne’s next major dance production. This unique opportunity will nurture and develop young talent prior to embarking on a career in dance. New Adventures are looking for 10 dancers to perform in Bradford on the Alhambra Theatre main stage alongside New Adventures professional dancers. 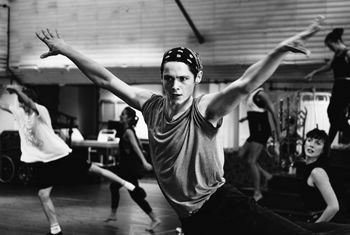 Dancers must be aged between 16 and 19 on 1 February 2019 and will ideally have had at least 3 years of dance training or experience and a solid grounding in contemporary and classical technique, preferably from within CAT schemes or independent dance schools. They do, however, accept and celebrate that not everyone’s path into dance is traditional, so encourage applications from those with a natural gift and aptitude in dance and performance. Above all, they must be expressive, creative, dynamic performers and actors. “We are now on a countrywide search for exceptional young dance talent from all backgrounds to join us in each of the cities where we will be staging this bold new production. This unique project builds on the ground-breaking tour of Lord of the Flies that proved to be successful in 2014.